Lost Suzuki car keys including Jimni, Swift & Wagon R models. You are here: Home / Lost your Suzuki car keys? Dont Panic…. Help is Here! Almost everyone loses their car key at some point, but don’t worry we can get you back on the road. We can replace all makes of lost Suzuki car keys, including Jimni, Swift & Wagon R models. Many cars will often self-lock after a minute or so as a security measure. Using non-destructive techniques we can gain entry to your vehicle and get you up and running again quickly and we’re cheaper than a replacement window! We can also offer a Key extraction service for broken or badly worn keys. Help is only a phone call away. 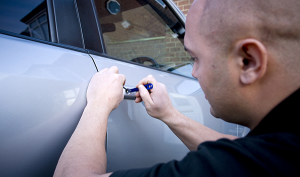 If your Suzuki keys are stolen, Lock changes or re-coding of existing locks are also services we provide at the roadside. What’s more, by coming to you we save you the additional cost of towing your vehicle to a garage or dealership. At KG Key Services we can supply spare keys for all Suzuki models. Please call us now for assistance on 0131 660 2924 or 0141 208 2924. For Non-urgent enquiries please call during normal working hours Mon to Fri 8:30 to 4.30.
http://www.kgkeyservices.co.uk/wp-content/uploads/2016/11/kgkey.png 0 0 Liz ... http://www.kgkeyservices.co.uk/wp-content/uploads/2016/11/kgkey.png Liz ...2016-10-27 12:28:182017-01-16 13:18:25Lost your Suzuki car keys? Dont Panic.... Help is Here! If you need a replacement car key for your Seat, Skoda or VW, give us a cal... Looking for a cheap vauxhall car key that is still a quality key?